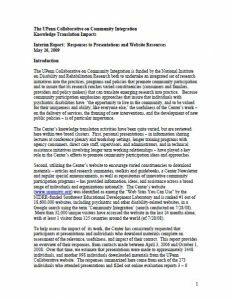 An in-depth exploration of the Temple University Community Participation Measure – a tool for counselor/client assessment and planning for community inclusion, along with related validation research and examples of utilization in program settings. 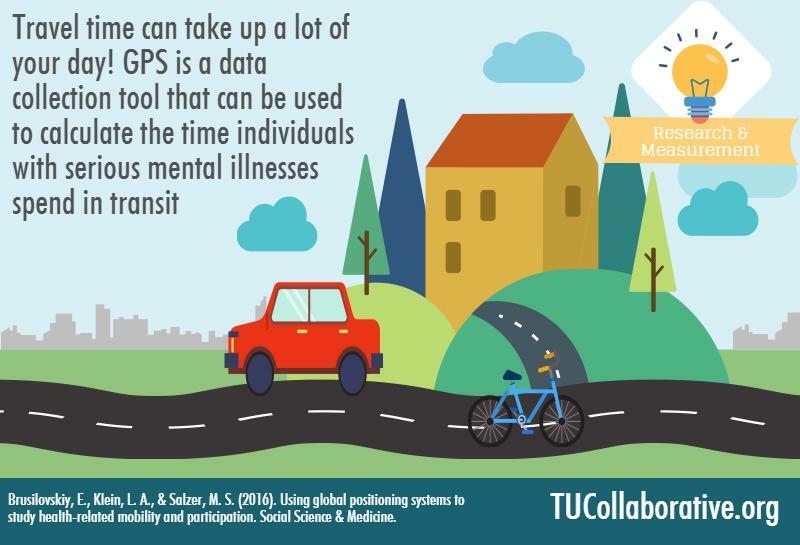 One of the core activities of the Temple University Collaborative is conducting research in order to develop cutting-edge knowledge and tools to promote the inclusion and participation of individuals with psychiatric disabilities. 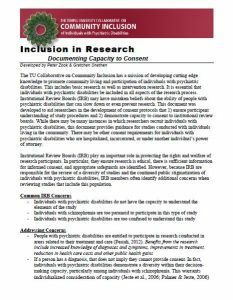 We believe individuals with psychiatric disabilities have a right to be included in all aspects of the research process, including as research participants. 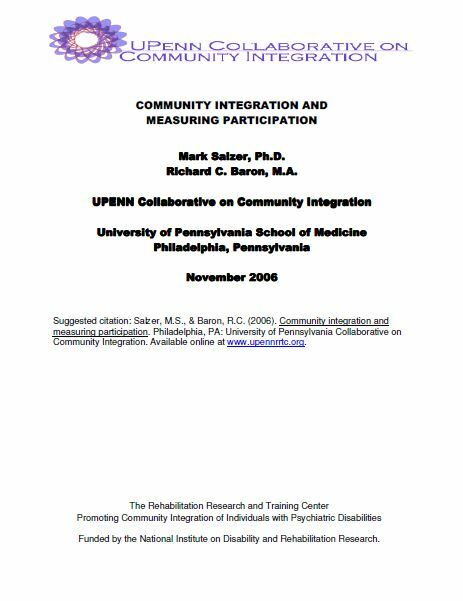 Sometimes, Institutional Review Boards (IRB) doubt whether this population is competent to participate in research. This brief document was developed to help researchers develop consent procedures that 1) ensure participants understand study procedures and 2) demonstrate that this population has the capacity to consent to research participation. 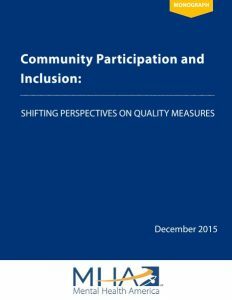 Peers can play a critically important and unique role in supporting increased community participation among individuals with serious mental illnesses. 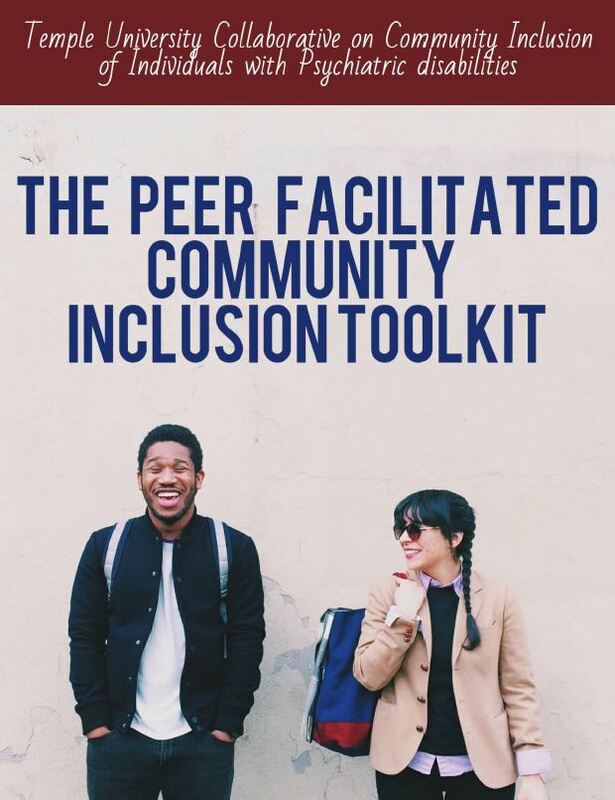 Our toolkit is an excellent resource to help peers explore goals for increasing community participation with the consumers they work with. 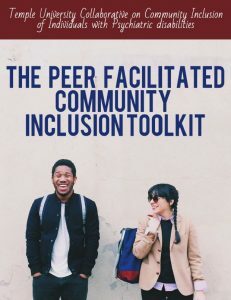 This toolkit includes various exercises and worksheets that peers can use to help individuals reflect on desired levels of community participation, explore existing supports and resources, and develop community participation goals. 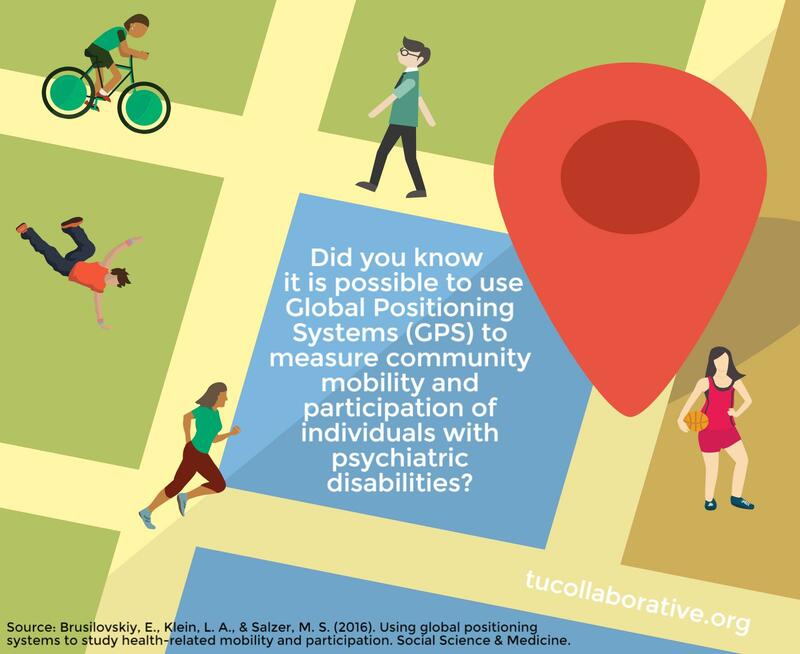 Special thanks to Matthew Federici, MS, CPRP, Executive Director of the Copeland Center for Wellness and Recovery, for his editorial contribution and support for this document. For more information on our partnership with the Copeland Center, please visit their website here. 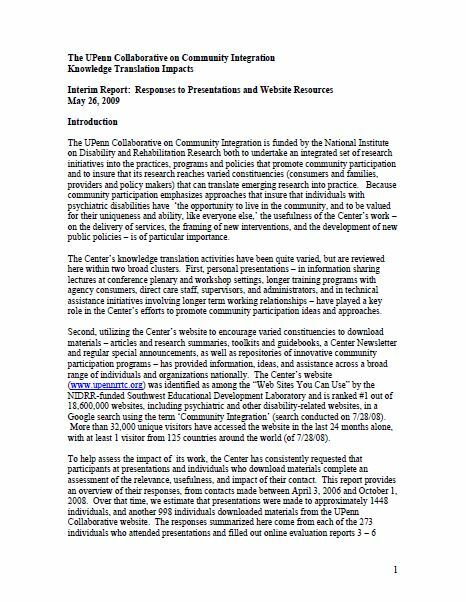 The impact of the presentations and publications of the Temple University Collaborative are assessed in this report, based on responses to online questionnaires sent to individuals who had received materials or training from the Collaborative during its first five years of operation. 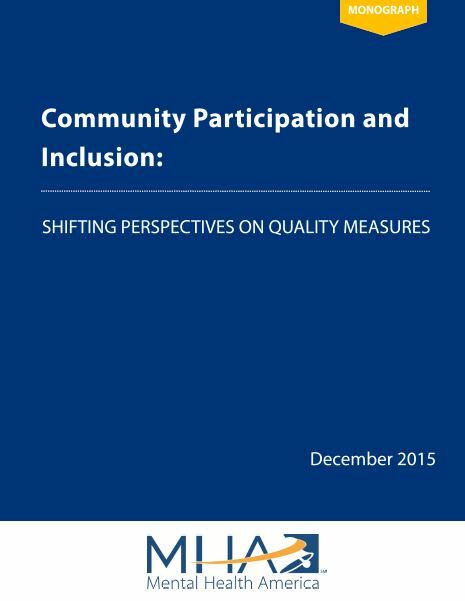 This paper identifies specific strategies that you can use to measure consumer participation in community activities, with separate instrumentation for each of eight domains of community life, providing an effective and wide-used vehicle for assessing your program’s achievements in promoting community inclusion. 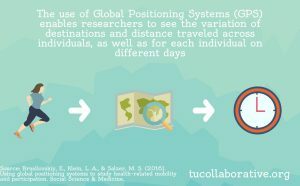 We sat down with Eugene Brusilovskiy to talk about a concept known as Environments in research. 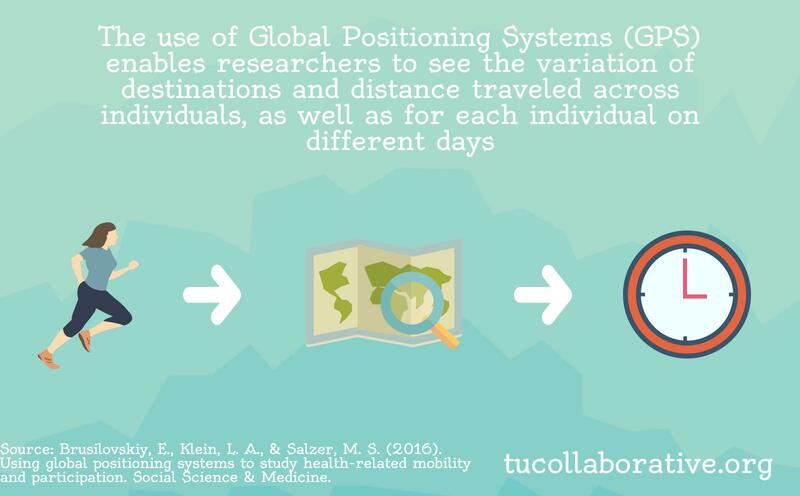 In part 1 Eugene will introduce himself and then talk about what environments are. 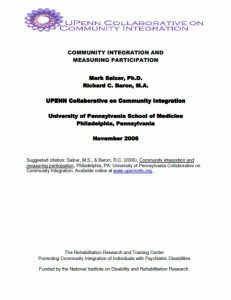 In part 2, Eugene discusses his work looking at the built and social environment of individuals with psychiatric disabilities.His first study compared neighborhoods of adults with serious mental illness to those of the general population, while the the second study looked at access and availability of community resources for individuals with serious mental illness specifically in Philadelphia, PA.